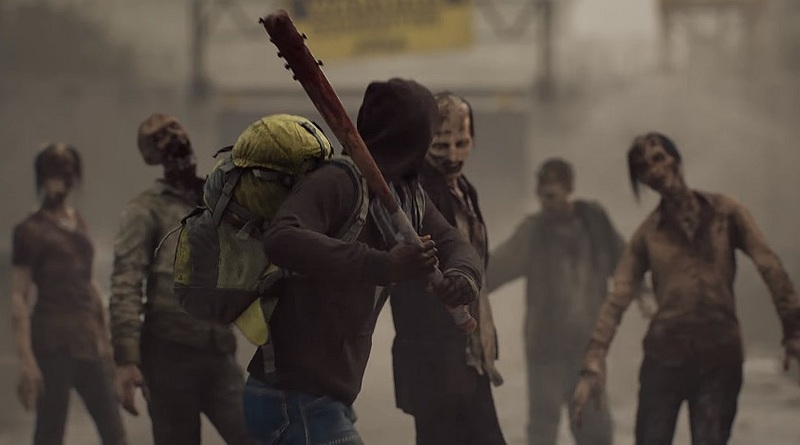 Overkill’s The Walking Dead is due to launch in Fall 2018, but concrete details have been few and far between, to the extent that it was widely believed to be following the successful Payday 2 model in most regards. We say Payday 2 is more like the A-Team, with every episode being different. Whereas this is more like Game of Thrones, you know, like it just gets darker and grittier. It’s a dark world. It’s not just the tone that sets it apart from Overkill’s biggest success, though. For instance, weapons will eventually need to be repaired. Players who don’t take care of their own firearms are setting themselves to be in trouble as the weapons could very well jam when they are most needed. This kind of maintenance is taken care of at the survivor’s base camp, where players gather before venturing out on a mission. However, crafting happens in real time during gameplay (presumably in a similar fashion to The Last of Us), that is provided you have the components in the first place. It likely won’t always be the case as the scarcity of resources seen in the popular TV show is something Overkill is looking to replicate in the game. Even lockpicks will be hard to come by, and players may have to choose between using it to pick a locked box of supplies or to rescue a survivor (NPC) behind a locked door. Survivors could be useful for your camp but also problematic, exactly as we’ve seen in the TV series broadcasted by AMC. Interestingly, the article also mentions that the group’s leader (who has yet to be officially revealed by the developers) will also have to deal with NPC human factions. Some of them can be reasoned with, but others cannot (think the Governor or Negan) and they’ll become rival factions. Missions will send you into the Washington area, though there will be a particular focus on the Georgetown neighborhood as its architecture and city planning are more distinctly American than elsewhere in Washington. During missions, players may opt for several different approaches. Moving stealthily towards the objective, using Walkers as a distraction and of course, going in guns blazing are all viable. Once you’ve gathered what you came for the mission won’t be done, by the way; the group needs to be properly extracted from the map. A flare needs to be sent out to ask for a pickup, much like in Tom Clancy’s The Division Dark Zone, but here your helper may respond with his own flare if he can’t make it to your current location. In such a case, the group will have to follow the signal to get to the extraction point. Related Overkill’s The Walking Dead Beta Giveaway [PC] – Grab a Code and Smash Zombies Now! Finally, Overkill mentioned that customization will be available but within the limits of The Walking Dead universe. Characters from the comics or TV shows aren’t currently planned to make an appearance, but they aren’t completely ruled out either if the community makes a strong request in that direction. Overall, it’s clear that Overkill is betting heavily on this game. It was originally scheduled to launch in 2016, but the team wasn’t happy with the project made so far and asked for more time. With a late 2018 release window and over four years in development, it’s fair to expect Overkill’s The Walking Dead to be a very polished product. Stay tuned for more about it in the coming months.